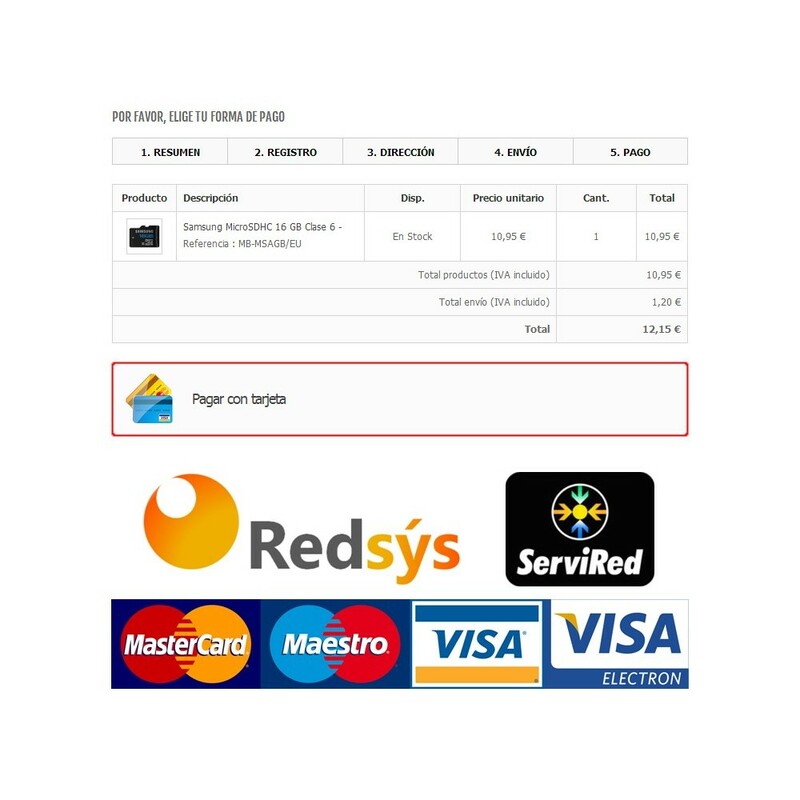 This module allows you to integrate a Virtual POS based on the Redsys system, with which you can accept payments by credit or debit card. This module supports the new Redsys signature system based on HMAC SHA-256, mandatory from November 23, 2015. 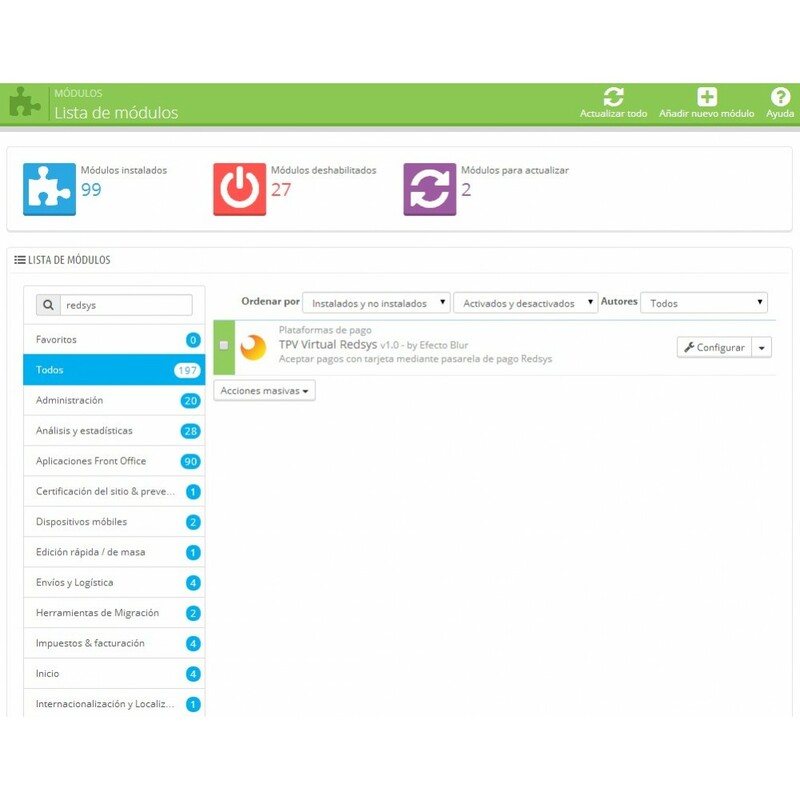 Pre-configured with default values ​​for quick and easy installation. You only need to enter 3 parameters to have your Virtual POS running: trade name, trade code and password. Possibility to select between Real environment and Testing environment. 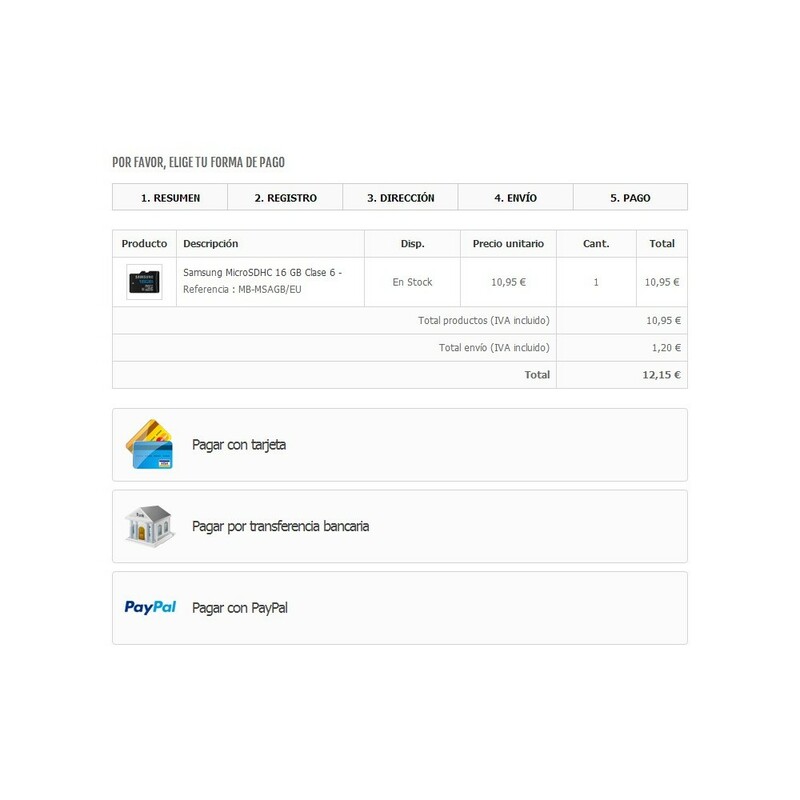 Possibility of emptying the client shopping cart when an error occurs in the payment. Ability to add a surcharge on card payments. 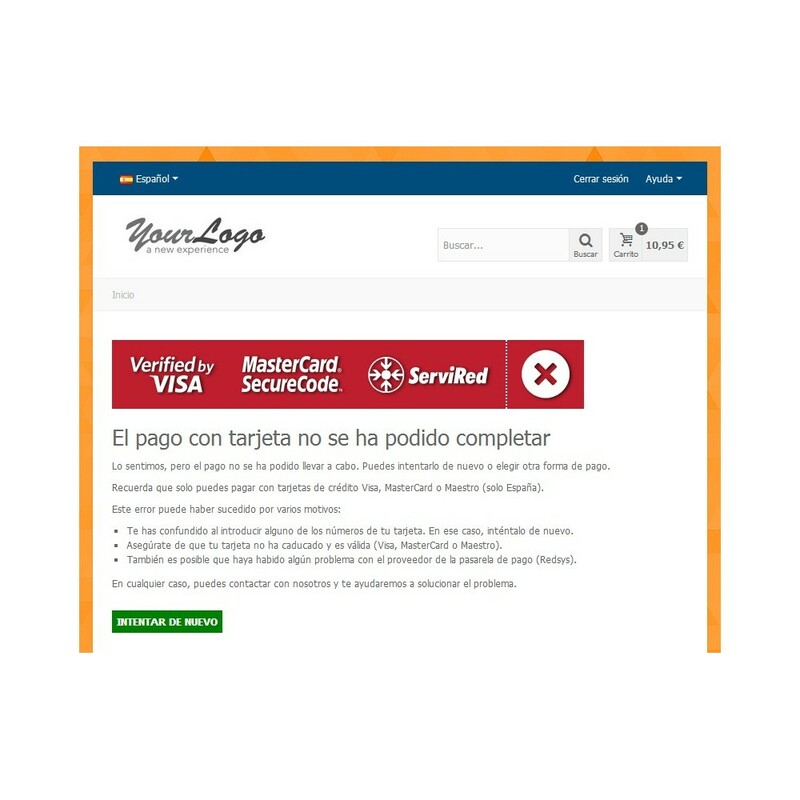 Compatible with multi-language shops: payment gateway page is displayed in the language chosen by the customer to navigate your website. 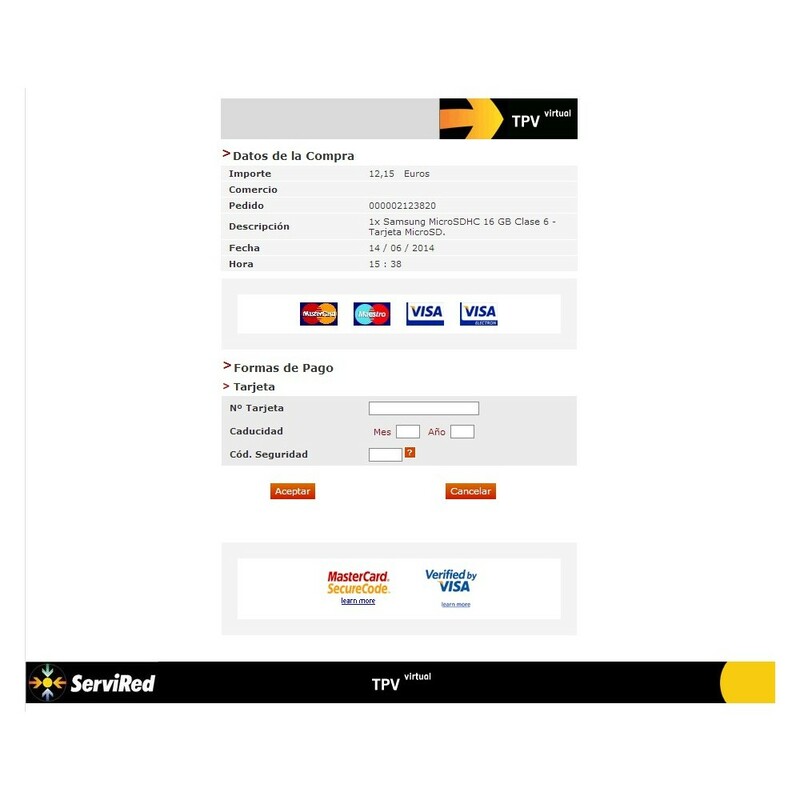 Compatible with Responsive themes: your customers can place orders and complete payments from smartphones and tablets. Transactions are performed directly on the page of the payment gateway (Redsys), avoiding the need to implement additional security measures on your website. The pages of the ordering process include cool high quality images, with modern and professional design to give greater confidence to your customers. 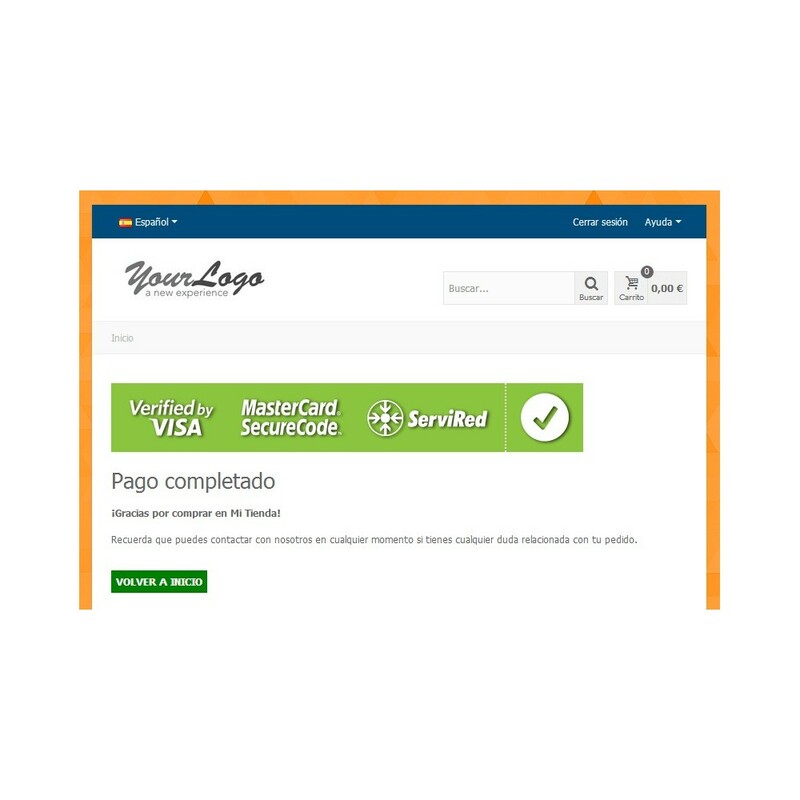 Confirmation and error pages after the payment process include clear and concise information, which helps the customer to complete the purchase process safely and without complications. Supported cards: Visa, MasterCard, Maestro, American Express, Diners Club, JCB, Citicorp. We are aware of the difficulties when hiring a Virtual POS when starting your business, so we try to help as much as possible, informing the requirements and conditions of the main banks. You can contact us through the link available on the sidebar. Installation assistance and technical support at no additional charge for 3 months. We keep the module always updated, ensuring correct operation in future versions of PrestaShop and Redsys. Cookie Notice add-on allows you to put yourself in compliance withEU Cookies Directive (2009/136/EC).This module adds an elegant and responsive notification box at the top or bottom of yourwebsite.